It's been a while since I've played along with the Clean & Simple Sketch Challenges. I made this card using the first sketch of the year, FTL172! This beautiful paper is from the new Twitterpatter dsp pack. I love the colors and feminine designs. 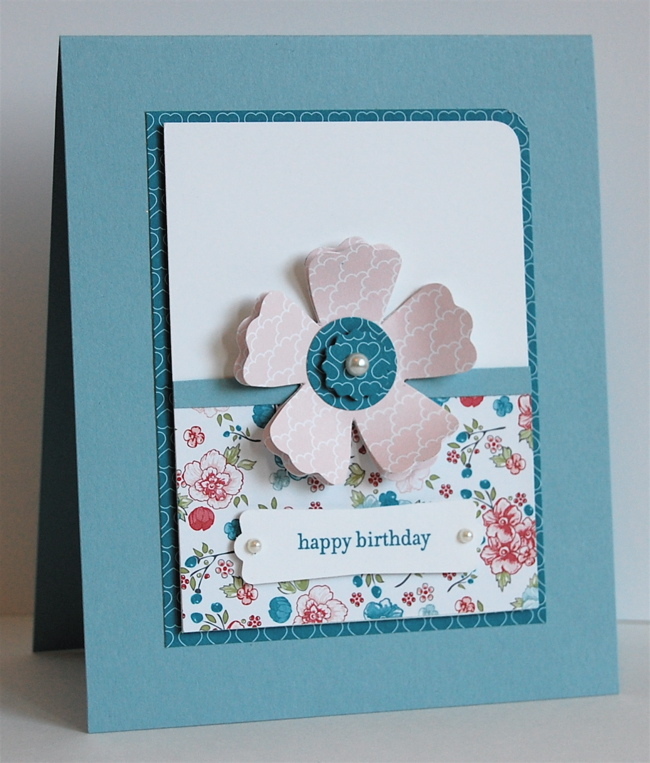 I paired that with some Sweet Shop dsp and the Fun Flowers die to make a birthday card perfect for young girls & women alike! That is a beautiful card Maureen. 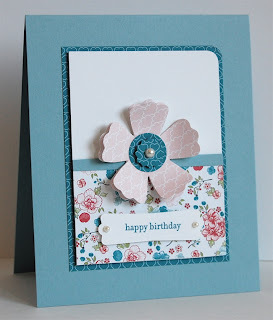 Oh I love this card, lovely colours and papers.